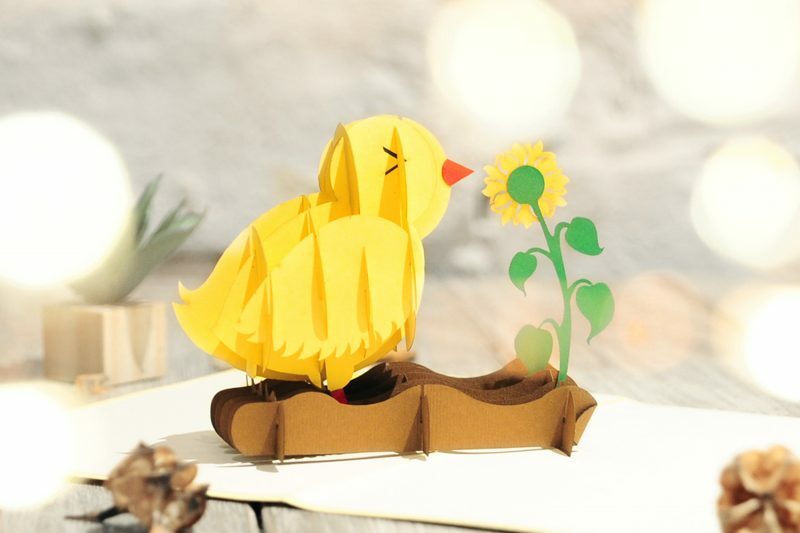 Celebrate this Easter Holiday with this super cute Easter chick! He may be small, but this little charmer is enough to brighten anyone’s day. 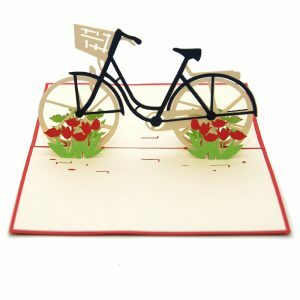 Here’s what you need to create this super cool handmade gift. 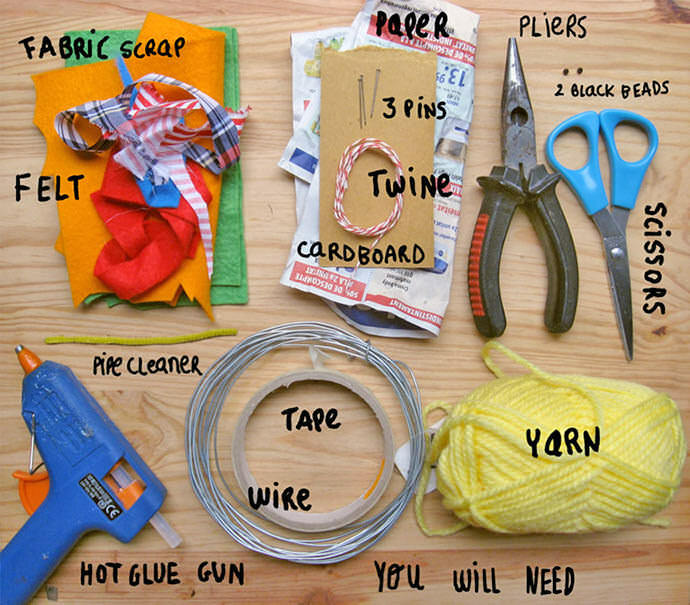 Crumple up some paper to make a 1 1/2 inch paper ball, tape to fix and wrap it with yarn till you have a 2 1/4 inch ball. 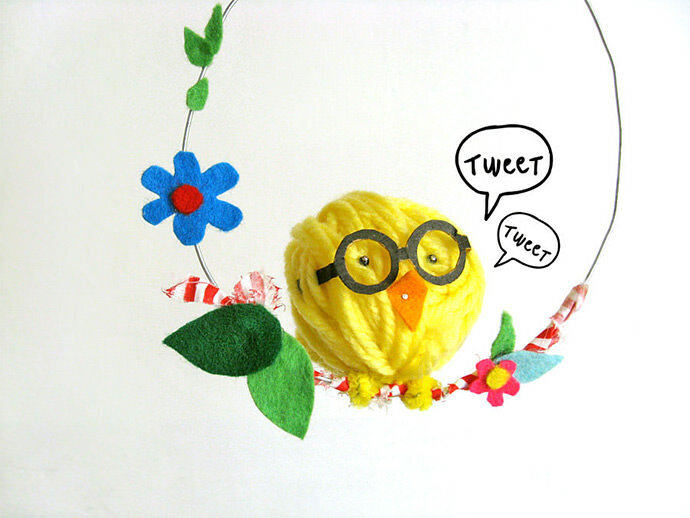 Take 5 inches of pipe cleaner; pass it through the bottom ball yarn strands and bend to secure. 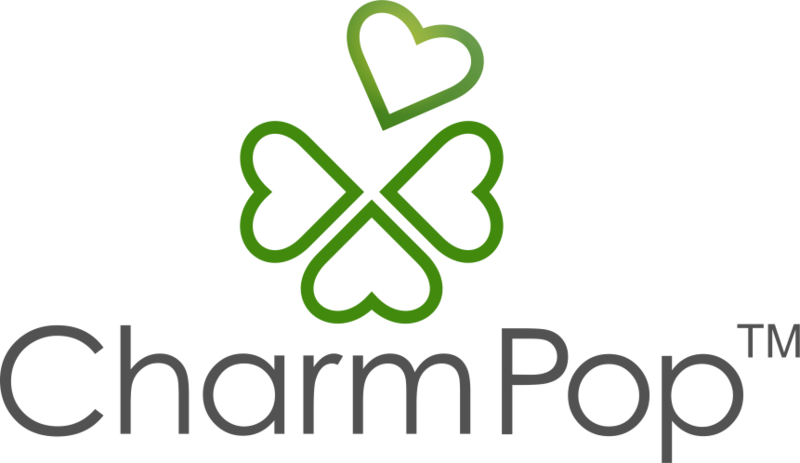 Fold to form two legs. Using pliers bend and manipulate wire into a basic oval shape of 5.3” wide and 6” tall. 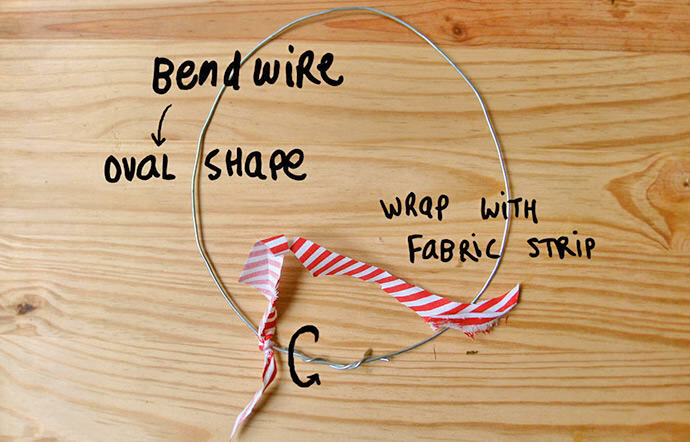 Then take a scrap of fabric strip, knot it to the oval wire and wrap all around the twisted joints. Take the oval shape with the wrapped part at the bottom and place your yarn ball at the bottom center of the oval shape. 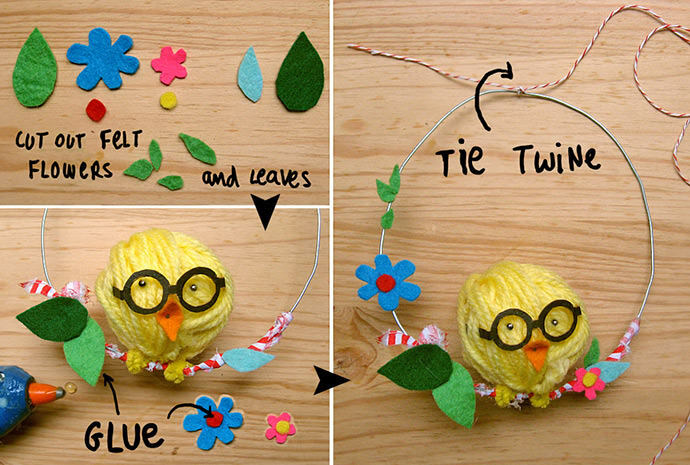 Twist each pipe cleaner leg around wrapped wire. 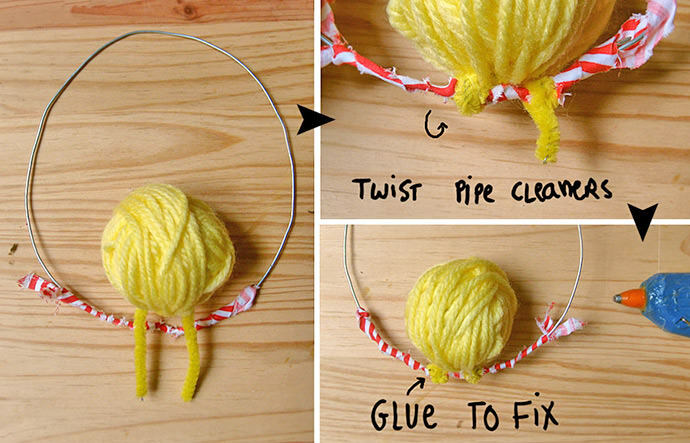 Glue yarn ball and twisted pipe cleaners to oval shape if needed. 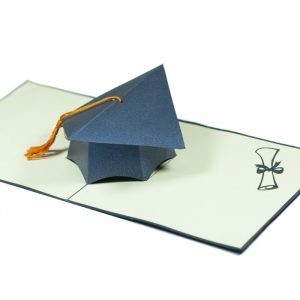 Download and print templates. 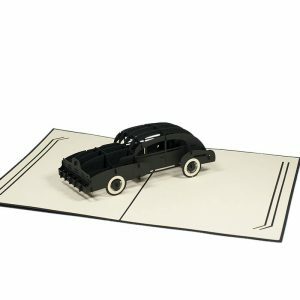 Cut out bick from orange felt and eyeglasses from black cardboard. 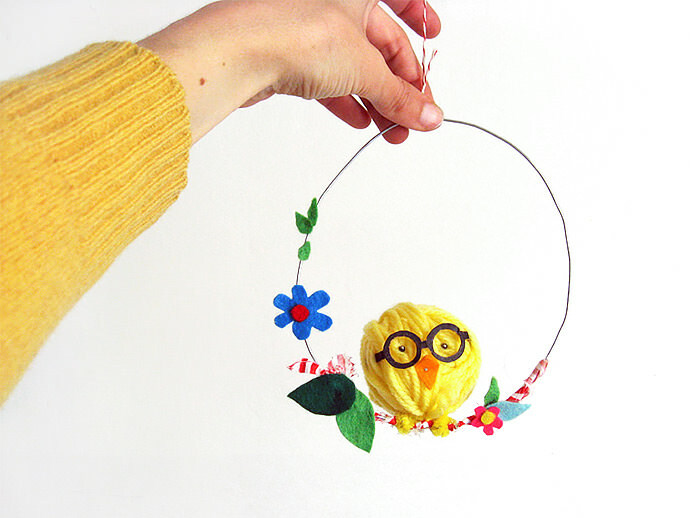 Fold arm specs and place them at the middle of the yarn ball front. Fix end arms into yarn strands. Pin each bead onto the yarn ball front, (pierce till you poke paper ball) just in the center of each eyeglasses. Then pin bick in place, right in the middle and below eyeglasses. TIP: If you want to secure pins, glue pin end before poking. 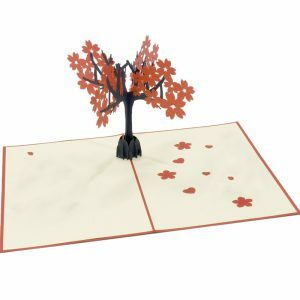 Follwing templates cut out flowers and leaves from felt. 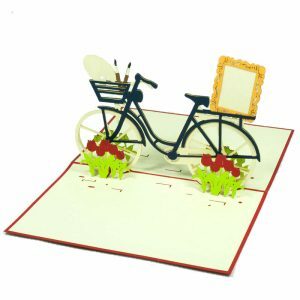 Decor the bottom of the oval with them. Glue big leaves first, then flowers and small leaves up one oval side. It’s almost done! 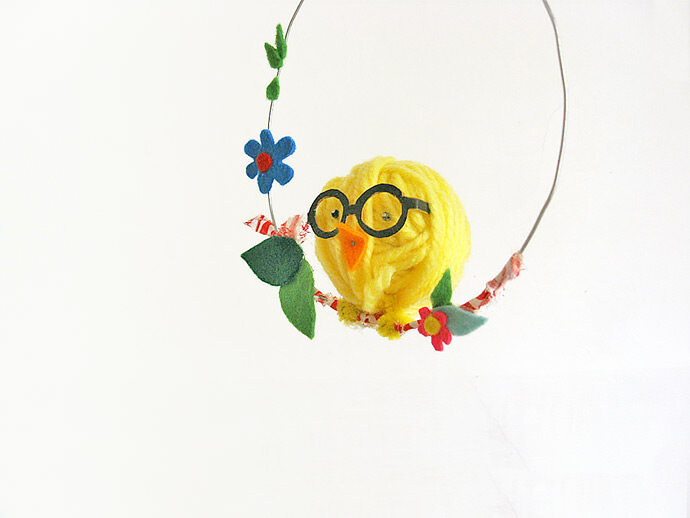 Tie twine on the top of the oval and hang your swinging easter chick with cute specs from your favorite place. 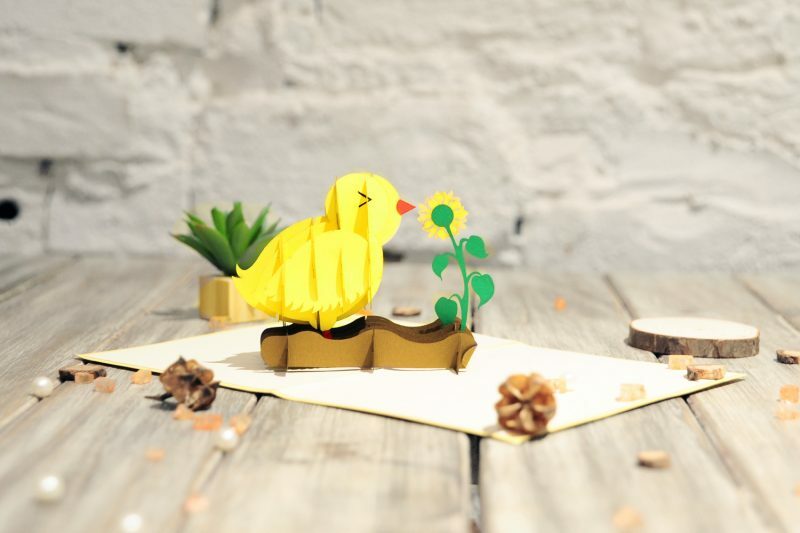 Or If you don’t have time, simply order our Handmade Easter Baby Chick pop up card! The chicken is so adorable! Worth trying. My brother suggested I might like this web site. He used to be totally right. This post actually made my day. You cann’t imagine simply how a lot time I had spent for this information! Thanks! 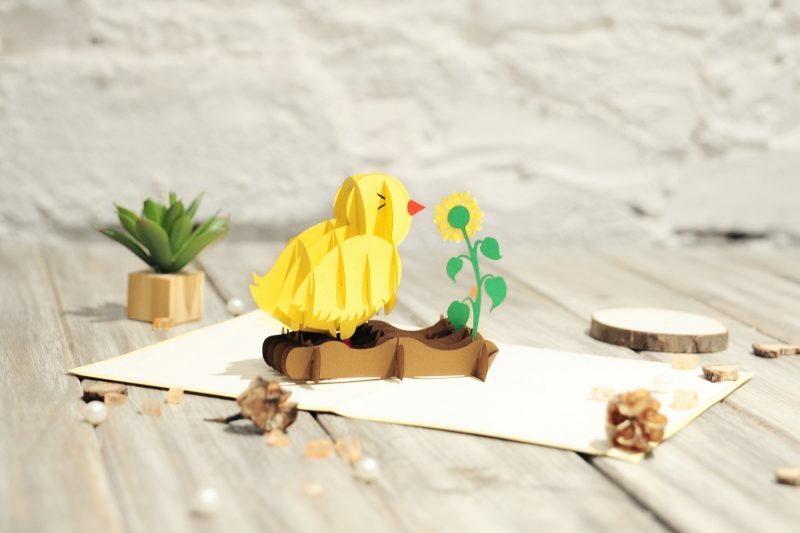 Hey Buddy!, I found this information for you: "Handmade Swinging Easter Chick". 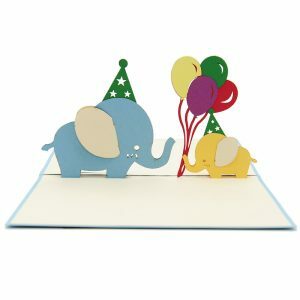 Here is the website link: https://charmpopcards.com/diy-swinging-easter-chick.html. Thank you.